Training the next generation of clinicians to provide world-class, life-changing care. Education has been a core component of our mission for nearly 200 years, and we have a variety of nationally-renowned residency and psychology fellowship programs. 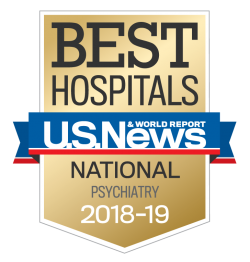 As one of the top psychiatric hospitals in the nation, a research powerhouse, and the home to some of the most highly-specialized units and programs, Sheppard Pratt is the perfect place to continue your education in the rewarding fields of psychiatry and psychology. Our residents and postdoctoral fellows have the opportunity to learn from some of the brightest minds in psychiatry, to subspecialize in a wide variety of fields, to complete groundbreaking research, and to work hands-on with a diverse patient population. Sheppard Pratt offers two psychology postdoctoral opportunities. Both are intensive, one-year training programs in the evaluations and treatment of patients.